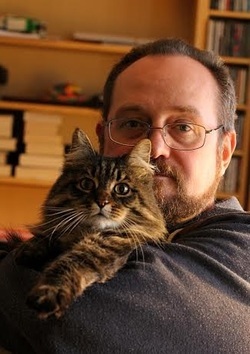 Stuart MacBride is the #1 Sunday Times bestselling author of the Logan McRae and Ash Henderson novels. He’s also published a near-future thriller, a short story collection, a couple of novellas, and a slightly twisted picture book for slightly twisted children. Stuart was crowned World Stovies Champion in 2014 and was given an honorary doctorate by Dundee University in 2015. He tries not to let either of these things go to his head. Stuart lives in the northeast of Scotland with his wife Fiona, cats Grendel and Gherkin, some hens, horses, and a vast number of assorted weeds.